Unbelievable value, best price per square foot, priced below recent appraisal, and freshly painted, is this beautiful pool home now available in Mill Creek! 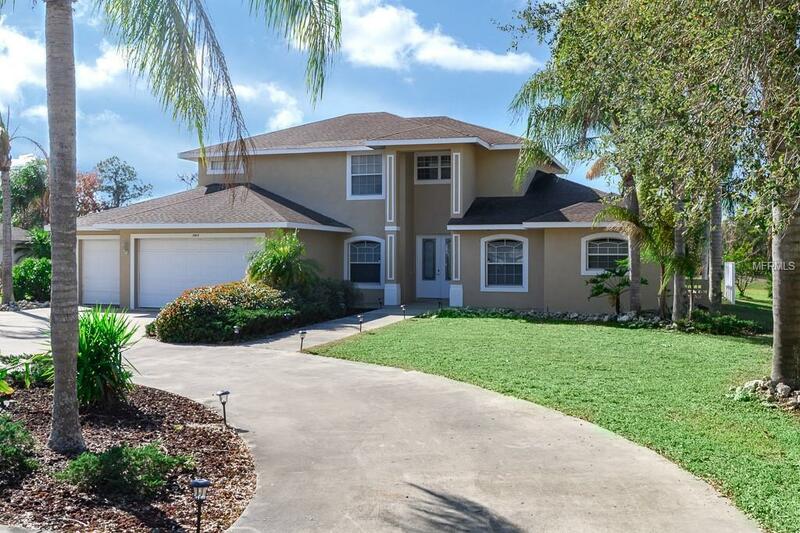 On nearly 1.4 acres of peace and tranquility, resides this two story pool home with fabulous preserve views. Gorgeous, two story, custom abode with five full bedrooms, PLUS a den and a three car garage. The master suite, den/office and main living area is downstairs. Four bedrooms and two full bathrooms are located upstairs. Home has a very nice flow as you enter through the double doors and are welcomed by the plank style tile throughout the main living area, crown molding and a solid wood step and spindle stairway. The family room, adjacent to to the large kitchen is very warm and inviting with a wood burning fireplace. Enjoy the workable space of the over-sized utility room and an over-sized three car garage. Home also has nearly new HVAC system/units. Outdoor lifestyle includes a lap style, huge pool under cage. The extended yard and majestic oaks at the back of the property combine space with beauty with privacy. It is so peaceful and quiet you can hear the birds chirp and the wind flowing through the trees. You can even park your boat or RV on the side of the house!! Mill Creek boasts a perfect location that is close to everything, yet far enough away for tons of privacy. LOW HOA fees and NO CDD! Wonderful schools nearby and close to all activities that Lakewood Ranch has to offer. Schedule your showing today!